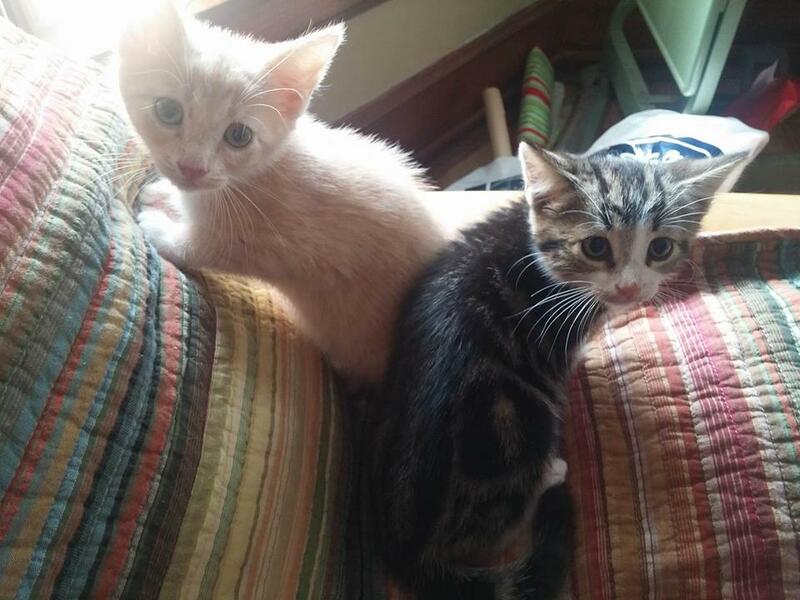 Marlowe, the buff kitten on the left, is an amazing and sweet little guy, who will bring excitement and joy to any household! Bold and daring, Marlowe will always be up for a new adventure or a new toy to play with, and he especially likes string or feather toys that he can practice his stalking skills on. He gets along just fine in the car, and is well behaved in new places as well as his home. He is also quite the affectionate kitten. Once he's played a game with you, he will always be up for cuddling, and will often let out cute chirps to get your attention if he feels he is being neglected! He even likes to snuggle on his foster Mom's shoulder and be carried around. This miniature tiger would be a perfect fit for any household- if he interests you, then don't hesitate to come and say hello!